Valentino is three years old. Born with a complete bilateral cleft lip and palate, he was initially very shy and only spoke a few words when he was admitted to our partner project, KusiRostros, in 2012. He attends speech therapy sessions every Tuesday at a Community Rehabilitation Centres (CRCs) in the district of San Martin de Porras. Housed in a clinic or health post, each CRC has a dentist, speech therapist and nurse co-ordinator. They offer families the medical, feeding and counselling support they need, close to home. He has also attending orthodontic appointments. 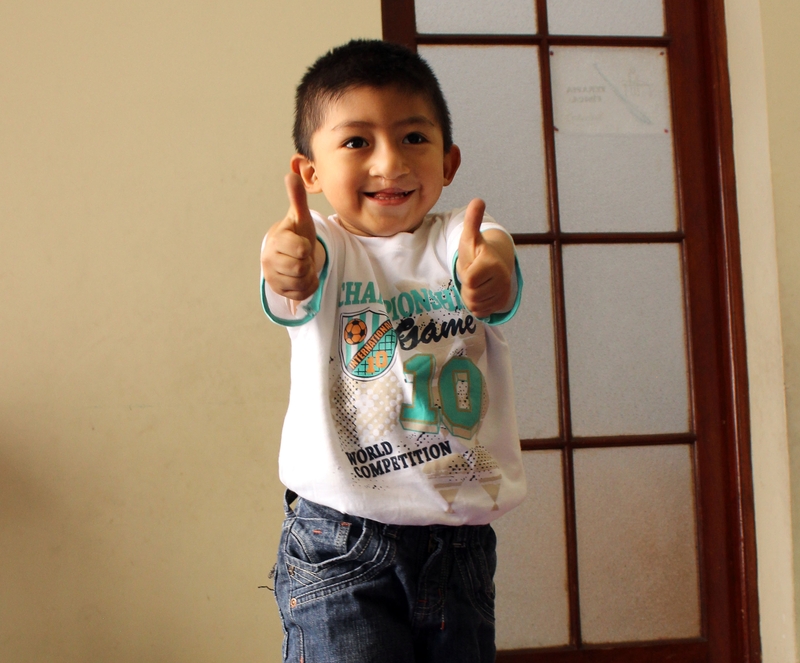 He now participates in the reading workshops with his mom and his aunt, likes to play with friends and is always smiling.